C&M First Services, Inc. is a full service brokerage firm that is committed to helping our clients place commercial and personal lines insurance. We are one of the largest Asian owned insurance agencies in the USA. Our mission is to advance your objectives by providing comprehensive insurance solutions customized for clients with diverse backgrounds and unique requirements. Our employees possess the technical know-how and sound judgment to achieve your goals by providing a rare blend of experience and integrity. We believe that offering the best insurance coverage is only the first step in fulfilling our client's insurance needs. For us, providing top-notch customer service is just as important as providing the right coverage. Our team of knowledgeable employees strive to deliver the highest level of client satisfaction by offering innovative insurance products and friendly customer service. From our office in the heart of New York City, we invite you to see what a difference C&M's comprehensive coverage programs, superior customer service and experienced employees can make for you. 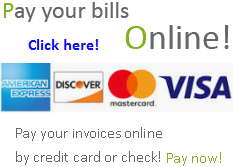 Online Payment contains link to xpress-pay.com site. Please be aware that will be transaction fee.